If you’ve spent any time on your bank’s website, you may have seen mentions of a “money market account”. 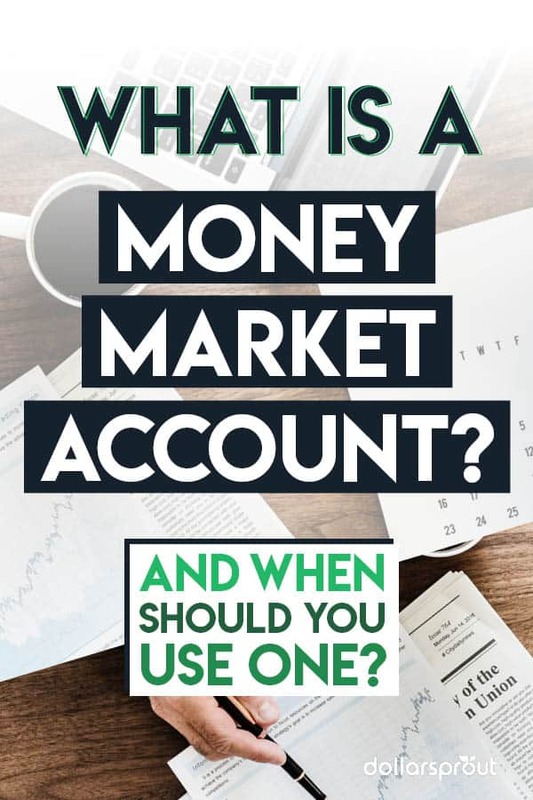 If you are wondering what a money market account is (and if you need one), here are the main points to be aware of. Definition: A money market account (MMA) is essentially a blend between a checking and a savings account. MMAs typically offer a higher interest rate than traditional savings accounts, and, depending on the bank, will allow quick access to funds via check writing, electronic funds transfer (EFT), and/or debit card or ATM withdrawals. Deposits and interest payments held in MMAs at FDIC-insured banks are covered by FDIC insurance. This means that, if the bank fails for any reason, the federal government will reimburse your account balance (up to $250,000 per depositor, per FDIC-insured bank, per ownership category). MMAs held at credit unions are insured by the National Credit Union Administration, which is the equivalent of FDIC insurance for banks. Although a money market account can be a great tool to help you reach your savings goals, there are some key features and limitations to be aware of before you open an account. Depending on account, you could get a higher interest than a normal savings account. Some online banks will have savings accounts that are competitive with MMAs. You can write checks or make debit card purchases on the account, up to 6 times a month. Online-only banks usually have very high interest rates (and are sometimes higher than money market accounts, depending on the bank). You can quickly transfer funds to your checking account, but you cannot make purchases from this type of account. Your money is held for a pre-determined length of time (anywhere from 1 month to 10 years). There are early withdrawal penalties if you need your cash before the end of the term. This is your everyday spending account. A checking account is not designed to be a place to grow your nest egg or savings. Most checking accounts offer no interest, so your money will not grow. Before you open a money market account, make sure you at least have a checking account. A checking account is a basic necessity that everyone should have before they consider opening any other banking or investing account types. Note: A money market account is not the same thing as a money market fund. A money market fund is considered an investment vehicle and is not FDIC-insured. The balance in a money market fund can go down due to market fluctuations, whereas the balance in a money market account cannot drop due to market fluctuations. There are many practical uses for a money market account. Here are some ways that you can use an MMA to park your extra savings. Life happens to all of us. As a general rule of thumb, you should aim to have 3-6 months of living expenses on hand in case of emergency. By keeping a rainy day fund in a money market account, you’ll have quick access to the cash if/when you need it. In the meantime, the balance will be accruing interest while it sits in reserve. For example, if all of the above amounts to $2,500 a month in spending, you should aim to have between $7,500 and $15,000 in your emergency fund. If you are saving up for a major expense in the next 2-5 years, a high-interest money market account can help you stay on track to meet your goals. For longer-term goals like retirement, you are likely better off to investing the money. Investing usually involves more risk, but has the potential for higher long term returns. One of the biggest hurdles that self-employed workers face is that they are responsible for setting aside their own taxes and paying them each quarter. If you are self-employed, it makes sense to establish a regular habit of depositing your “tax money” into a separate money market account each month based on your income. This way, the money is kept in a separate location from your everyday funds, and you won’t be caught short on money come tax time. In fact, you can write your checks to the government straight from your money market account, so you never have to mingle your funds. If you’ve decided that a money market account is right for you, you will quickly find that you have a lot of options. While it might seem easiest to open an account at your current bank, it pays to shop around — especially if you bank at a traditional brick-and-mortar bank. Most online banks are able to offer significantly higher interest rates than their physical counterparts because of their reduced overhead. That means extra savings power for you. Make sure the advertised APY isn’t just an “introductory rate”. Some banks will offer an attractive rate, say, 1.5%, but then drop your interest rate down to 0.05% after an introductory trial period of a few months. Compare the MMA interest rate to the same bank’s Online Savings Account rate. In the past, money market accounts almost always offered higher rates than regular savings accounts, but in today’s competitive online banking world, that is not always the case. If you don’t need the check writing or debit card features of an MMA, you may sometimes be able to get a higher rate from an online savings account. Keep an eye on fees. Each bank has a slightly different fee structure, however, you should be able to avoid fees if you keep your account in good standing. This means keeping your balance above any account minimums, not making more than the specified number of allowable transactions in a given month, etc.